From stocking stuffers to extravagant, indulgent gifts, it's time to make that list and check it twice, whether you're shopping for your best pal or making your own wish list. If you're celebrating twelve days of Christmas, here's a gift for every day. Need a stocking stuffer? 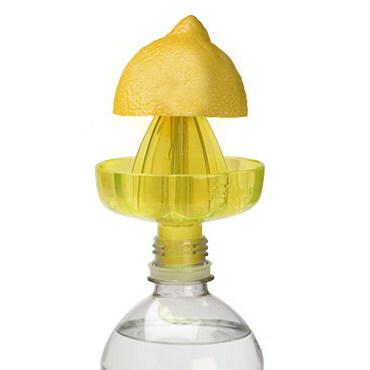 The bottle top juicer ($4.99) from Good Cook lets you add fresh lemon or lime juice directly to a water bottle. No need to squeeze the juice first then pour into the bottle - this little juicer sends the juice straight into the bottle. 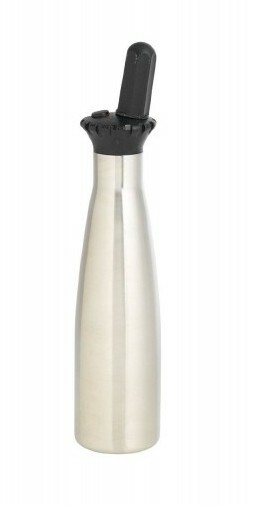 Probably not technically a cooking tool, but it's great for people who like flavored water and don't want to use the bottled flavorings that seem to be popular these days. Also handy for getting lime into your beer. These little beakers ($9.95) have become my favorite for measuring small amounts of liquids - I use them every day. Much easier than trying to fill a measuring spoon, and I can use one beaker to measure different amounts, so it's just one thing to wash instead of several different spoons. They nest, so storage is simple, and I've been washing them in the dishwasher with no adverse affect. I've always said that everyone needs a good knife, but I'd sadly neglected getting a good bread knife. It's just bread! What do I need a good knife for? But then I tried this Wustoff bread knife ($99.95) and I was seriously impressed. I tried a slice-by-slice comparison with other knives, and where other knives skittered over a crisp crust, this one bit in and sliced nicely - it even made neat slices of bread that was slightly warmer than it should have been. It's pricy, but someone who bakes a lot of bread will appreciate it - and it should last a lifetime. Speaking of pricy, this machine ($310) isn't for the casual user. 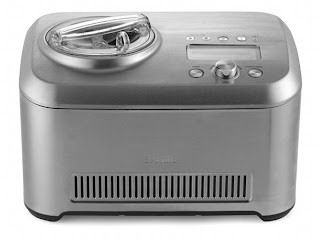 But for someone who makes multiple batches of ice cream a day, or who wants to freeze long-churned mixtures, this machine does it all. One of the best features is that if you have to step away while the machine is running, there's a keep-cold feature. Since this has its own compressor, you don't need to plan ahead to have a bowl frozen. Just pour and churn. Although it's best to churn a chilled mixture, you can pour a slightly-warm concoction into this and works just fine. And, you can churn a second batch right away. Bring out your inner cake artist with these crazy Cake Creatures molds ($39.95/set with a decorating pen or about $8 individually). There are four different molds - I tried two (didn't get the kit, so I haven't tried the pen) and each one is shaped like a standing "creature" with arms and legs in different positions. It's up to your imagination to turn the creature into a human, animal, monster or anything else you can think of. These were ridiculously fun to decorate and they're small enough to be single-serving cakes or decorations for a full-size cake. Maybe this should be more of a pre-holiday gift for the cookie baker. The OXO cookie press ($29.95) is what you need to make spritz cookies. But it's not just about the press, it's also (or mostly!) about the disks that aren't just your usual round flower-like things. Even better, you can buy additional sets for even more variety. I bought the fall set ($9.99) which includes a spider, spider web, owl, turkey, leaf and pumpkin. The spring set is on my wish list to buy later. 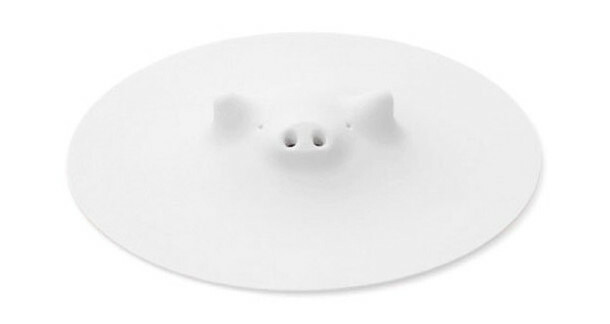 The Museum of Modern Art might not be your first choice when looking for cooking tools, but the pig cooking lid ($20 white/ $25 pink) is quirky, cute, and functional. Made from silicone, it's microwave safe, and that's where I usually use it, on top of bowls or right on top of food to keep steam in while still allowing some venting though the piggy's nose. It's also useful on the stovetop - I use it quite often when I'm cooking corn on the cob. 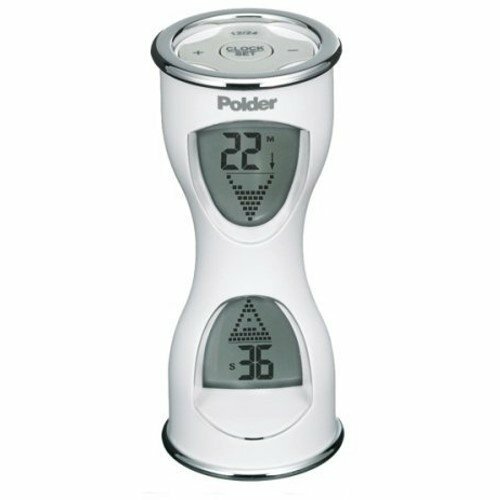 I've owned this timer for a few years and it's still my favorite. Turn it one way up and it's a timer. Flip it over, and it's a clock. The best thing about it is that if you somehow miss hearing the beeper, it will start counting up to let you know just how much too long you overcooked those cupcakes. Another thing that I love is that when you hit the button to stop the beeping, it resets to the previous timer amount. This is perfect when I'm making batches of things like flatbreads that take three minutes to cook in the oven. I can just smack the button for the next batch. 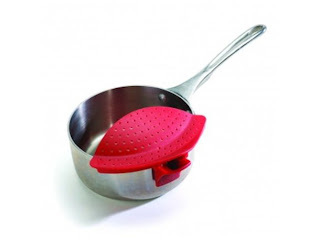 It's a simple concept, a strainer that clips onto the edge of a pot ($11.95) so you can drain the pot easily. It takes much less space in the dishwasher - or in the cabinet - than a colander and it fits on pretty much every pot I use. There are a few it doesn't work with, but those are pots I tend not to drain, anyway, so its all good. So far it has held up to a lot of draining and dishwashing and looks as good as new. Although I own a large colander, I haven't used it since the Clip and Drain showed up. There was a lot of scoffing about this spoon-sized sifter ($25), but I've had people ask me how I can sprinkle spices so precisely. So, obviously it's making a difference in my presentation. I've used it mostly for paprika-dusting, but also for powdered sugar and other sweet decorations. 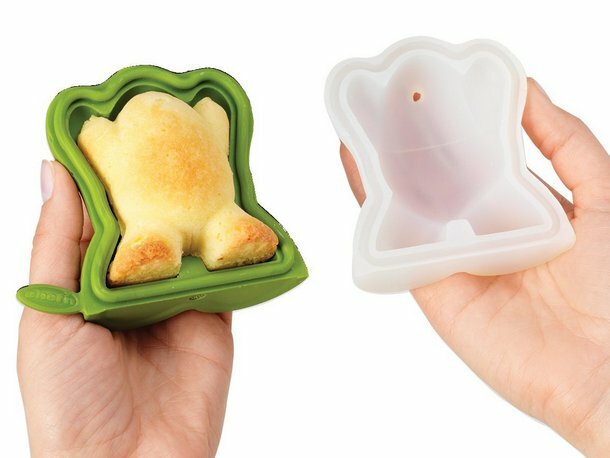 The average home cook probably won't be impressed, but anyone who takes photos of their food creations or who wants precise and pretty presentations would love to find this in their stocking. I've been enthralled with the idea of making small amounts of lightly flavored sodas with this soda maker ($59.99), and playing with other fizzy drinks as well. Fizzy Margarita, anyone? I had a soda siphon, but the fizz seems to last longer with this, and I like the idea of pouring rather than shooting the soda. I can't compare this to the countertop soda makers, except that this doesn't require a soda-making appliance sitting on the counter - it's one self-contained unit that fits nicely in the fridge. I've owned quite a few rotary graters over the years, and some have been less horrible than others, but the Microplane Rotary Grater ($19.95) is the best I've found. 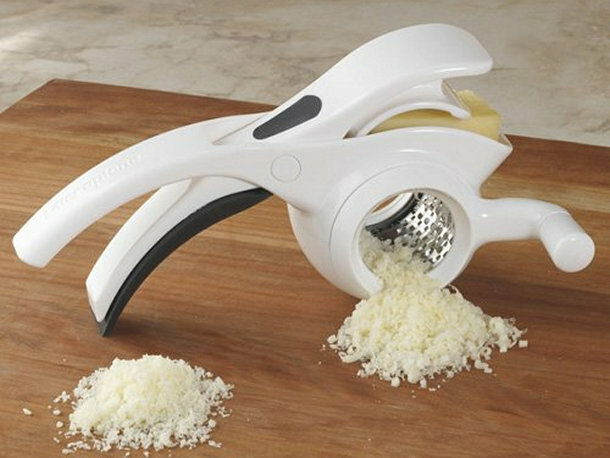 The big difference with this grater is the scissors-like configuration that gives you leverage when squeezing the cheese to grate it. In fact, I found that I could grip the handle near the hinge and still apply enough pressure to the cheese to get it grated - so much easier than trying to hold one of the tradition-style rotary graters with the handles wide open. Another bonus is that the drum is does both fine or coarse grating, depending on which way the drum is inserted. So, no extra parts to keep track of. There ya go - twelve fun gadgets. What are some of your favorites?